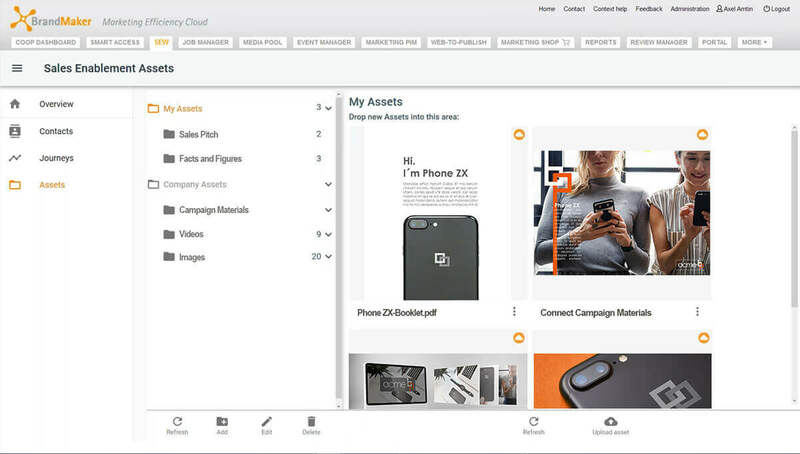 Enable your sales team with our powerful tool to distribute and use digitals assets as needed. 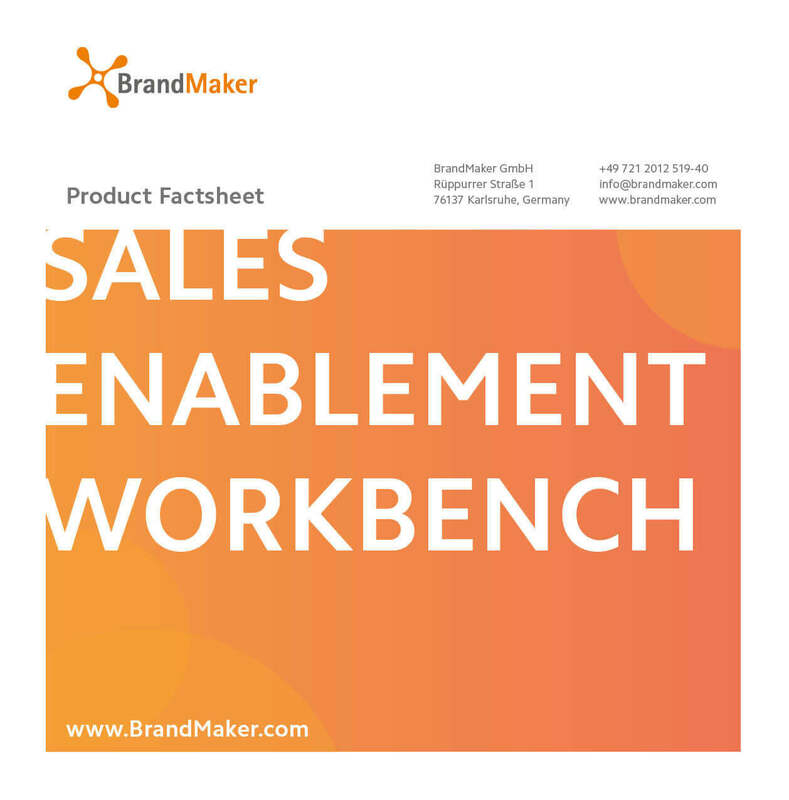 With the BrandMaker Sales Enablement Workbench (SEW) your sales reps can easily share documents with your company’s followers via traceable links and create detailed content interaction statistics that go far beyond click-through rates. Generate a mobile-friendly, personalized link to the desired asset with an auto-generated preview image. Share the traceable link and preview image with a prospect by simply copying and pasting it directly into an e-mail message ‒ no complex plug-ins required. Use SEW to forward your assets quickly and professionally to interested parties. Thanks to traceable links, you always know how the customer interacts with your content. 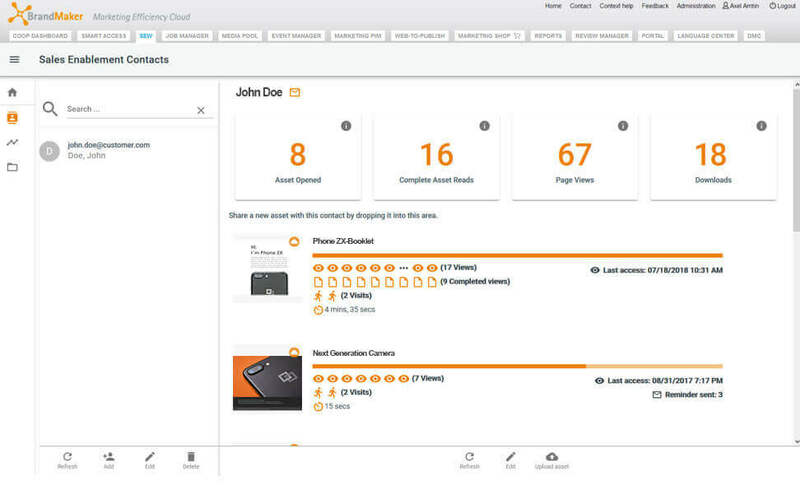 Start personalized content journeys automatically via the autopilot function. 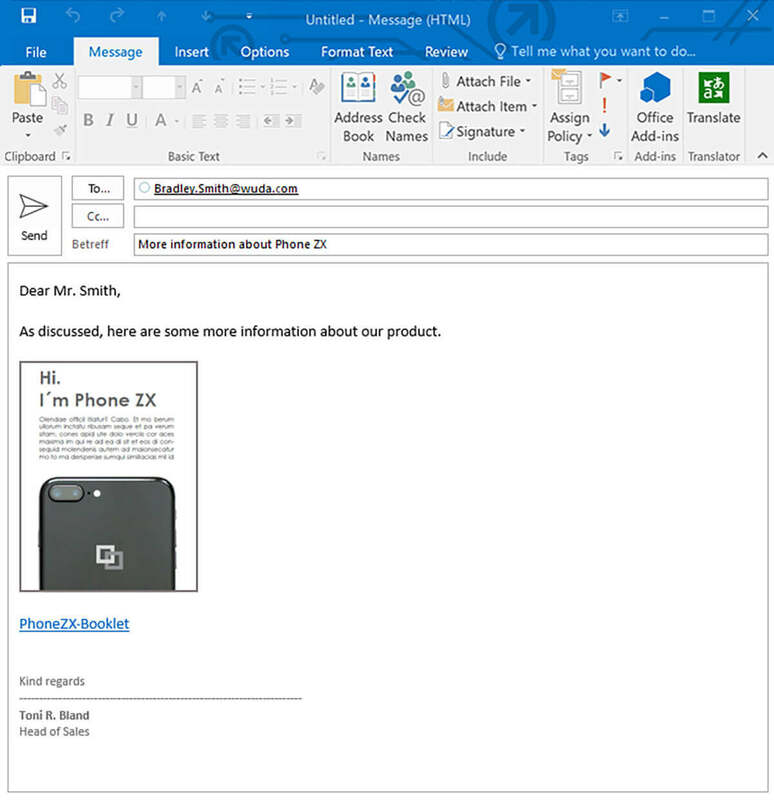 If a prospect clicks on a shared link, this asset opens in a special document reader. SEW begins generating a detailed engagement statistic about this viewer. The statistic includes how long a contact looked at a document, which pages he or she looked at and how often the link to the document was shared. This way a conclusive lead dossier is created step by step. The lead dossier contains all the details of a client’s content interaction and presents assumptions on possible key topics. Your sales staff will know who is reading what, which content is being shared, and how strongly someone is interested in a topic. These statistics are easily retrievable and can also be added to the corresponding lead record in Salesforce, for example. Sharing individual digital assets is only scratching the surface: As an add-on, the Sales Enablement Workbench allows you to start personalized content journeys. 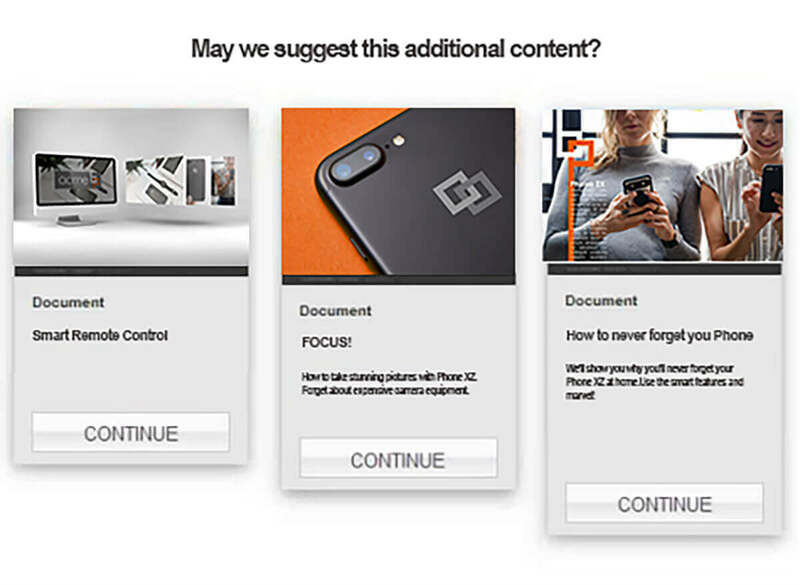 As soon as prospects interact with your content, they will receive additional content recommendations. Which means that the content is delivered when it is of the most interest to your potential customers. The content autopilot thus maintains leads in an unobtrusive way and converts prospective customers into sales-ready leads.